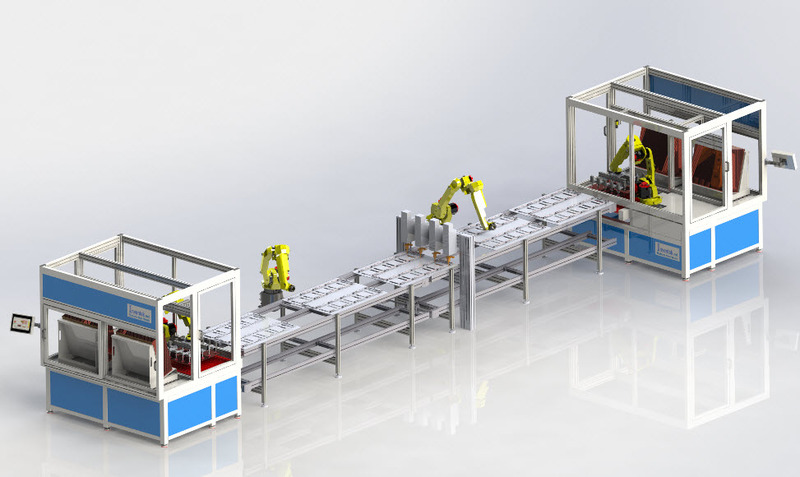 Material handling often requires the consistency that only a robotics solution can provide. Robots replace human interaction to move product from a supply position, orient it and transport it to a machine or process. Our turn key designs are capable of handling all size products with no mechanical setup between runs.